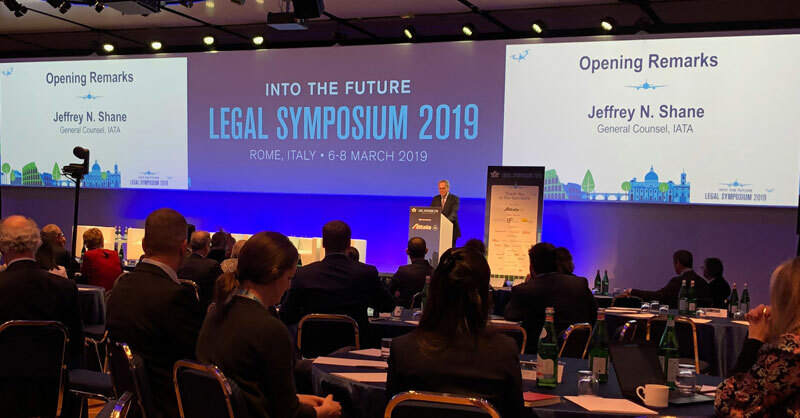 Our partners Jaime Fernández and Sergi Giménez are attending the IATA Legal Symposium, which this year is being held in Rome. This is presently the most relevant Aviation Law conference, during which the legal advisors, both in-house and external, of the aviation industry exchange their points of view about legal news and development perspectives throughout the world. The present edition will deal with issues such as the new models of air transport services, drones, data privacy policies, the effects of economic sanctions of international bodies upon the industry, liability of air carriers, new ways to render legal services, Brexit, etc.